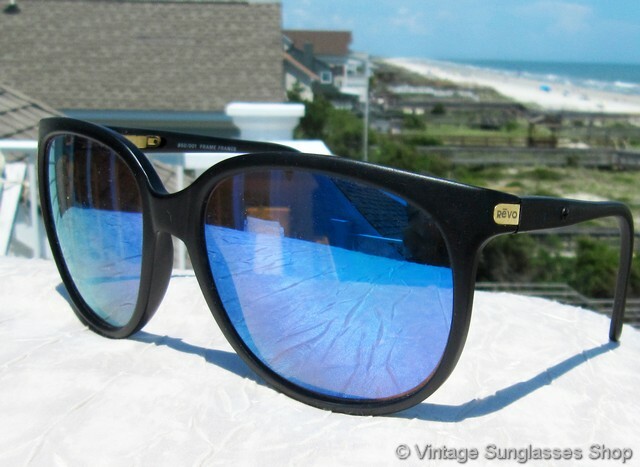 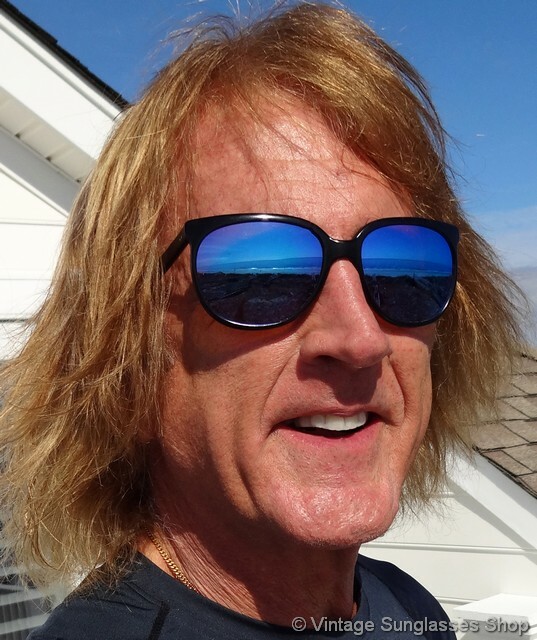 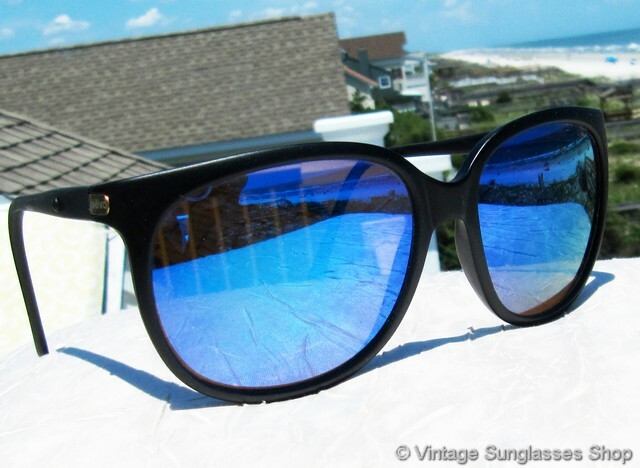 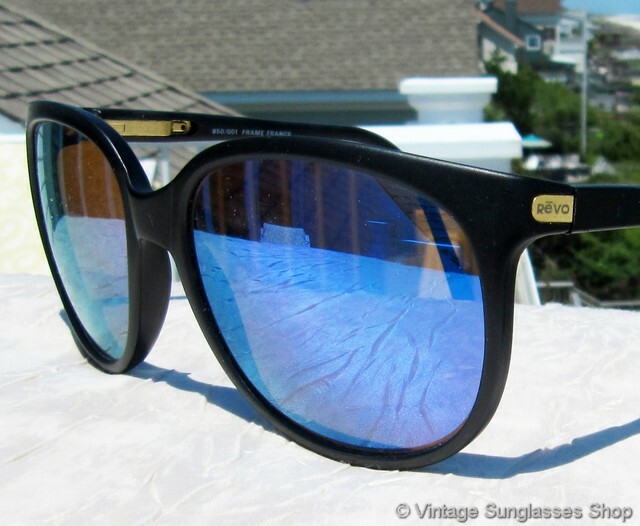 1 Vintage Revo 850 001 Grand Classic blue mirror sunglasses were early Revo production, one of the first styles produced with a frame made in France and the famous Revo blue mirrored lens that employed technology from the NASA space program. 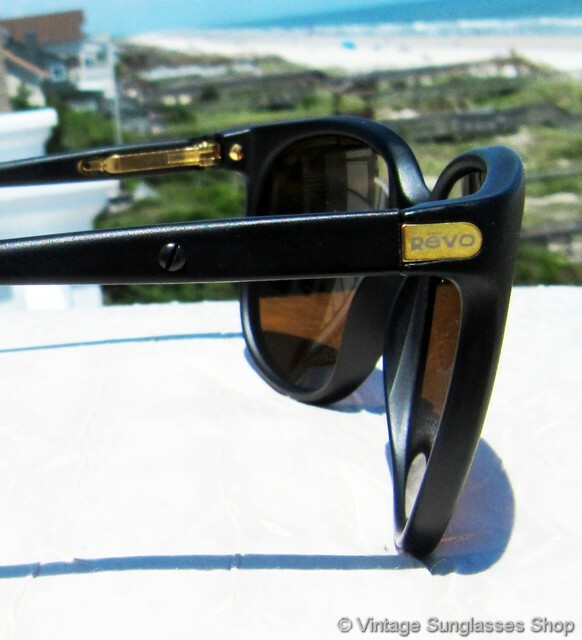 The black matte frame is a perfect complement to the highly reflective blue mirror lenses, and the Revo logo is incorporated into each ear stem near the hinges with a thin strip of gold. 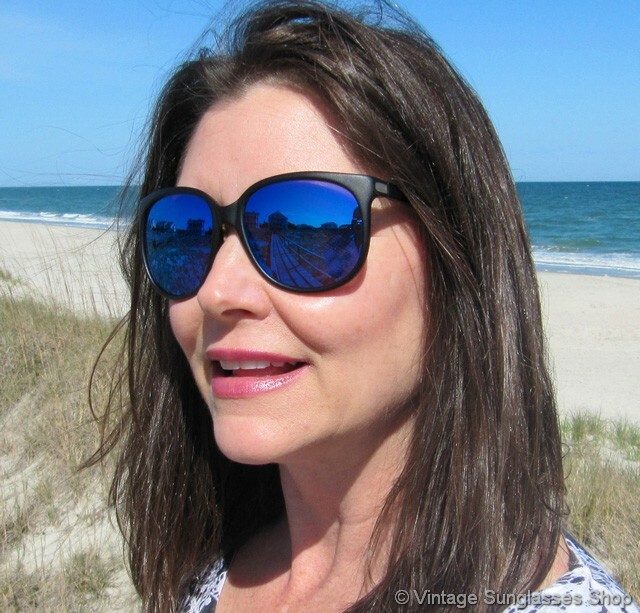 Revo 850 sunglasses are a perfect size for men and a moderately oversized sunglasses look for women, with composite frame measuring approximately 5.25" temple to temple and blue mirror lenses measuring approximately 2.125" x 1.875" at the widest points. 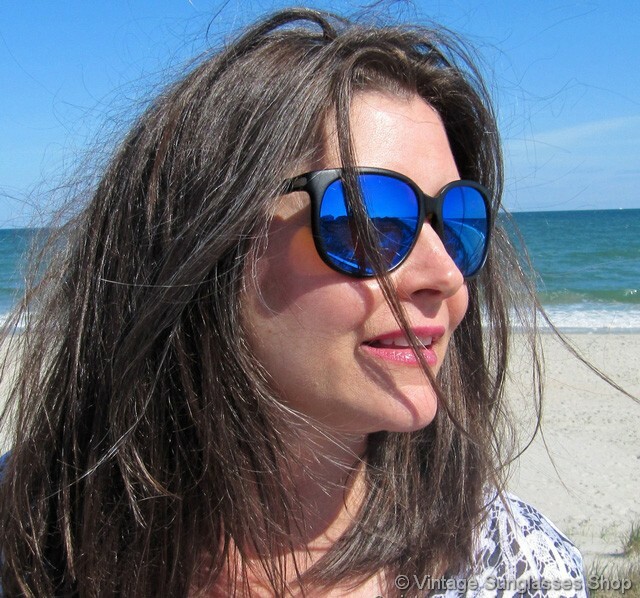 The black matte composite frame is durable yet stylish, and it doesn't detract from the eye catching color of the blue mirror lenses. 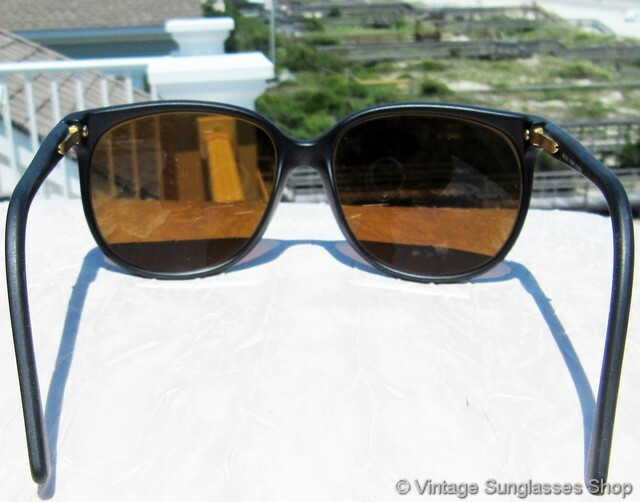 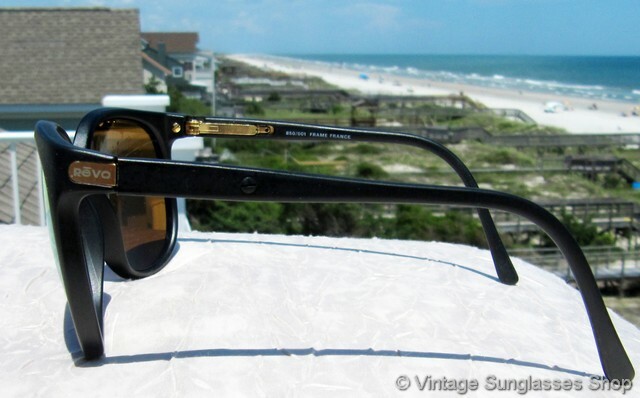 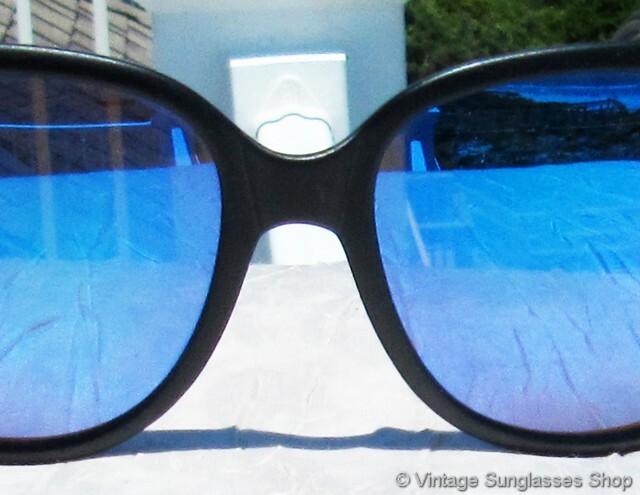 Early production of this model did not have a model number while on later production the inside of one ear stem is marked 850/001 Frame France, part of a Hartford, CT estate collection of vintage sunglasses sold exclusively through the Vintage Sunglasses Shop. 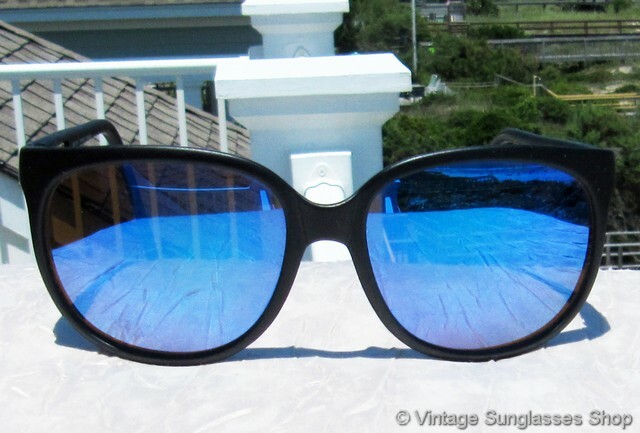 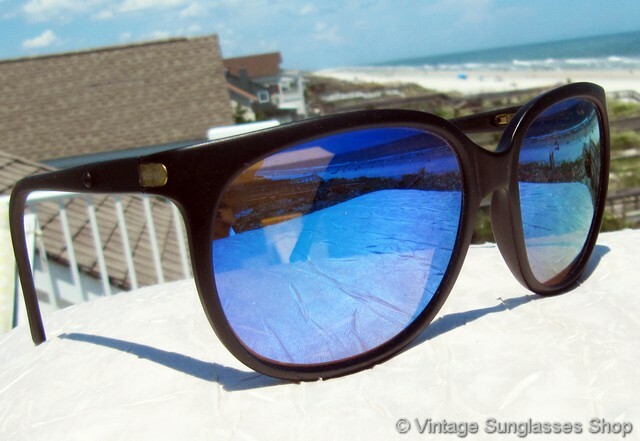 1A Step up another level beyond our already unequaled vintage condition standard with new old stock Revo Grand Classic 850 001 blue mirror sunglasses in mint, unworn condition. 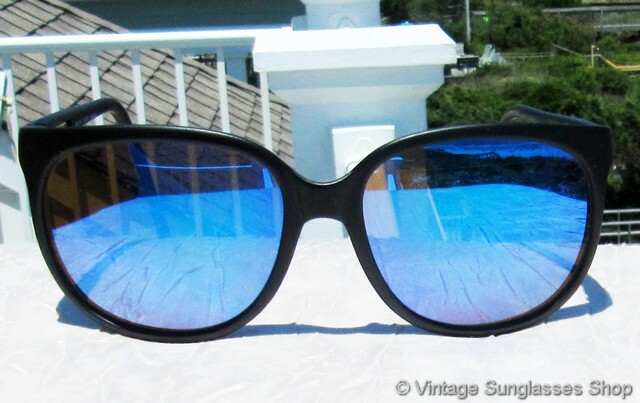 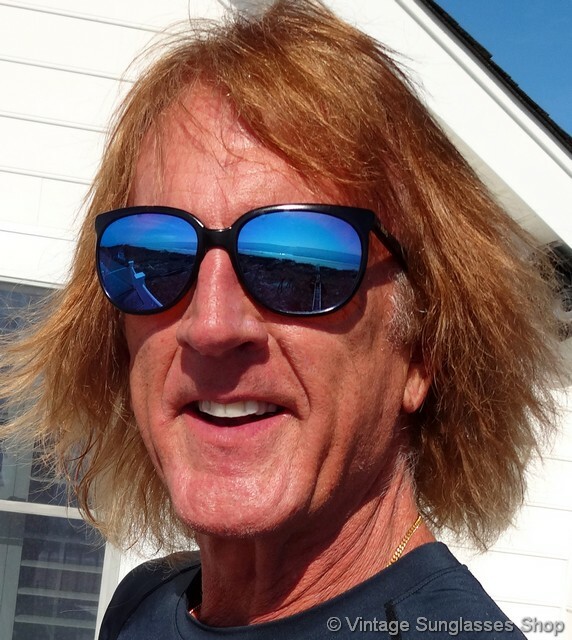 2 Vintage Revo Grand Classic 850 sunglasses are identical in size, shape, and appearance but feature Revo blue mirror H20 polarized lenses for those who prefer a polarized lens; you can learn about the tradeoffs in polarized versus non-polarized lenses here.